St Anne’s Pier is a Victorian era pleasure pier in the English seaside resort of St Anne’s-on-the-Sea, Lancashire. It lies on the estuary of the River Ribble. The pier, designed by A. Dowson, was completed in 1885 and was one of the earliest public buildings in St Anne’s, a 19th-century planned town. The pier was originally intended to be a sedate promenading venue for the resort’s visitors, but attractions were later added. Changes made to the estuary channels to improve access to Preston Dock left the pier on dry land and ended its steamer services to Blackpool and Liverpool. A Tudor-style entrance was built in 1899. Early 20th-century additions included a Moorish-style pavilion in 1904 and the Floral Hall in 1910. The Moorish Pavilion was destroyed by fire in 1974, shortly after the town’s centenary; the Floral Hall burned down in 1982. Originally 914 feet (279 m) long, the pier was reduced to 600 feet (180 m) by the demolition of the seaward end. 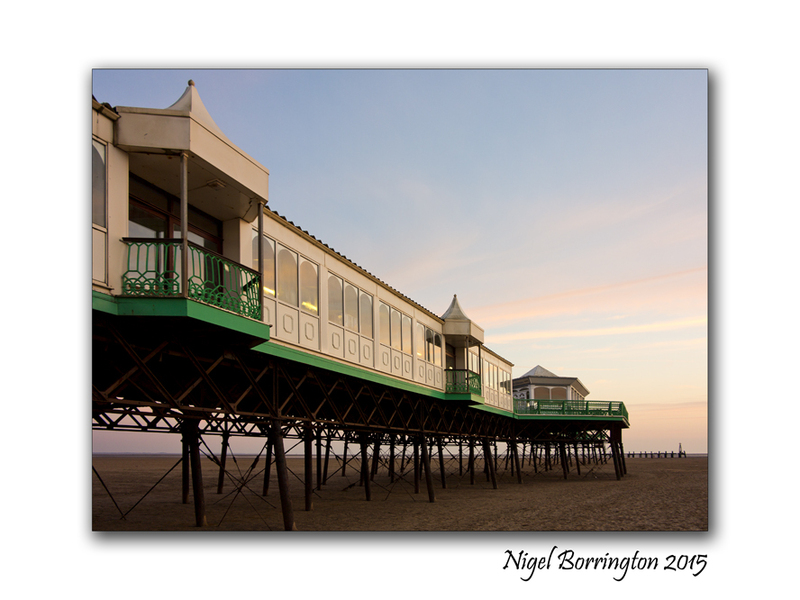 English Heritage has designated the pier a Grade II listed building. St Anne’s Pier is a Victorian era pleasure pier in the English seaside resort of St Anne’s-on-the-Sea, Lancashire. It lies on the estuary of the River Ribble. The pier, designed by A. Dowson, was completed in 1885 and was one of the earliest public buildings in St Anne’s, a 19th-century planned town. The pier was originally intended to be a sedate promenading venue for the resort’s visitors, but attractions were later added. Changes made to the estuary channels to improve access to Preston Dock left the pier on dry land and ended its steamer services to Blackpool and Liverpool.